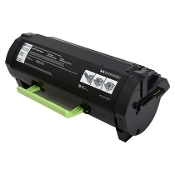 Order High Performance Lexmark MS/MX 417 517 617 Compatible Black Toner Cartridge 51B1H00 To keep your printer running perfectly! Our USA Brand Lexmark MS/MX 417 517 617 Compatible Black Toner Cartridge 51B1H00 is in stock and ready to deliver. If you have any questions please call us at 619-684-5241. We work for you!